A trust that is typically established to plan for distribution of family assets to the next generation has provisions for successor trustees. 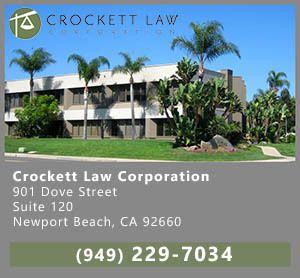 Initially, the trust creators, who are known in trust law as “Trustors”, also serve as the trustees of the trust. The trustees are the ones who are legally charged with administering the assets of the trust, signing on checks and bank statements, and dealing with the trust assets as any owner would. 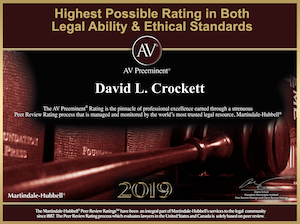 Trusts which are typically established are also known as “living trusts” and are revocable and changeable while the Trustors are alive and competent. To have a valid trust California law only requires a proper manifestation of the Trustor’s intention to create a trust, trust property, a valid trust purpose, and a beneficiary. The law does not have any detailed requirements about what the document creating a trust is supposed to say or how it is to be worded. All trust documents are subject to the jurisdiction of the court system if there is any confusion or disagreement about any aspect of the trust. The point of careful trust drafting is to avoid confusion and disagreements and to stay out of expensive court litigation. A key aspect of trust drafting is to have a comprehensive provision for successor trustee appointment. The concept of the living trust is that it continues beyond the death of the Trustors. A living trust is somewhat akin to a business enterprise that continues even though the owners have passed away. The trust document has plans and instructions to name who the trustees will be after the Trustors either pass away, resign, refuse to act or become physically or mentally incapacitated. Another thing to be considered is whether there will be one trustee or two or more trustees as successor trustees. These things need to be specifically defined to prevent confusion and expensive litigation to figure out who will actually be running the trust once the Trustors are gone. If the document creating the trust does not specify who the successor trustees will be, the beneficiaries of the trust will have to go to court to get somebody appointed. Thus, the trust document usually specifies who will be the successor trustee and at what time. A successor trustee can be any individual or a company which is specifically licensed to be a professional trust company. There is no requirement for the successor trustee to have any type of license or permit or experience except that a professional trust company must be licensed. Trustors and should carefully consider to whom they are turning over the reins of the trust. A proper trust document will carefully spell out all of the circumstances and consider all the possibilities. Married Trustors typically choose the surviving spouse to be the successor trustee in this situation. That may or may not be a good idea, depending upon the age and health of the Trustors and the assets and circumstances involved. Sometimes people choose one or more of their adult children to act as a replacement co-trustee when the first spouse passes away Or when the first spouse becomes incapacitated. It is possible to specify that all of the Trustors’ children will be joined trustees but in such case there need to be rules established as to whether unanimous signature is required on everything or whether the majority will rule to get things done in the trust. Trustors are encouraged to appoint the most responsible persons as successor trustees which may or may not be any of their children. Sometimes a trusted friend or advisor is a better choice. Also, the type and extent of the assets involved need to be considered. Generally speaking, if there are assets which are significant, or complicated, or perhaps which involve a going business or out-of-state properties, a professional trust company should be considered. Whether the successor trustee is an individual, a group of individuals, or a trust company, the distribution of the trust assets must be done according to the instructions in the trust document. If any successor trustee does not follow the instructions in the trust document, then the trust beneficiaries can file a petition (i.e. a lawsuit) with the probate court to require the trustee to follow the instructions and in some instances to have the trustee removed or fined (surcharged) for missing money or damages caused to the trust by failure to follow the instructions. The appointment of a conservatorship over one or both of the Trustors/Trustees. The changing of the trustee must be legally documented according to current legal practice in California for the trust to be able to function. Thus, if both of the Trustors have passed away, the named successor trustees in the trust cannot simply start signing checks and withdrawing money from the trust bank accounts. They will first need to have documentation prepared that the banks can rely on to prove that they are the legal successors and they must typically produce death certificates as well. A trust and estate attorney will know exactly what is required. Before any real estate owned by the trust can be dealt with by the successor trustees, special types of documents need to be recorded with the County recorder where the property is located and documentation filed to try to keep the property taxes from being increased. This all needs to be carefully handled soon after the death of the Trustors so that legal deadlines have not passed and so that the trust is not penalized. 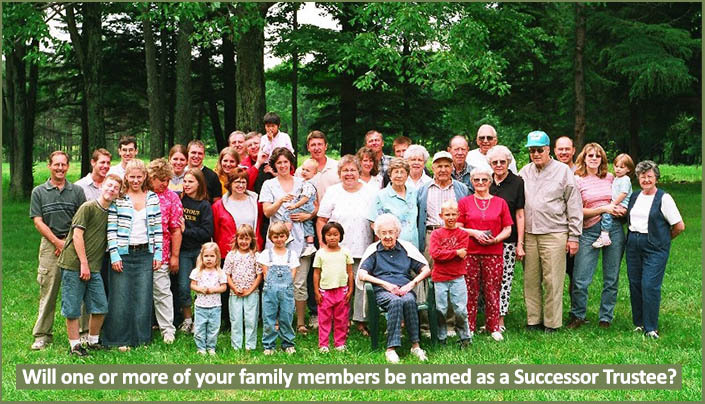 A typical trust document will have a list of persons or companies to serve as successor trustees. This makes sense because a successor trustee named at the time the trust is created may not be alive or available or even want to serve as the successor trustee of the time arises. Trust litigation can be time-consuming and expensive. Unless all the details about successor trustees are spelled out in the trust document, the trust beneficiaries may find it necessary to go to court to have a judge decide who is going to run the trust. Also, even if court proceedings are not necessary, there can often be delays and confusion with banks and security companies who want specific justification and want various legal documents signed by various parties involved before they will allow the successor trustees to have access to the trust assets.